In addition to staring at it, you can spin it and push it, which subsequently causes stuff to happen. And while it does require two AAA batteries, it doesn’t require ice, nor a laminated stick. So you can immediately surmise that we’ll–at the very least–be able to adjust speaker volume, zoom in and out, undo and redo, change screen brightness and scroll windows. But I think it will be much more. It will depend on the creativity of application developers to some extent, as well as the flexibility of the device’s customization settings. Panos Panay was at a Seattle Thunderbirds game and a wicked slapshot just cleared the plexiglass and took out a fan who was wearing an iPad t-shirt. Lots of BMW drivers with iDrive work in Redmond. Old School CAD operators were touring the Microsoft Plant and couldn’t stop commenting on the lack of puck controllers and dial pads. You don’t need to use up more ribbon or toolbar space in your application’s user interface. You can keep your dominant hand and your attention focused on the mouse or pen. You don’t have to move away from whatever you are manipulating in order to change some options. Your creative flow can remain unbroken. You have a finer granularity in adjusting settings that traditionally use slider bar controls. Sometimes sliders can be frustrating to use: they jump in increments that are too coarse, or they are too small on screen to use comfortably. I can imagine leisurely turning the dial to be a satisfying experience. I don’t have a Surface Dial yet, I am curious if it will help with a dilemma that I occasionally face. The scenario is that I am drawing on the detached screen of my Surface, or on my flipped-flat ThinkPad Yoga X1. In either case, the keyboard is no longer available, and I find that I miss it for various commands, shortcuts, and (lengthy) text input. Yes it is possible to go grab the Bluetooth keyboard out of the box, but maybe something like the Surface Dial will provide access to enough extra functionality that the keyboard won’t be missed. What Software Supports Surface Dial? Evidently Windows 10 already has OS hooks for volume, brightness that the Dial can take advantage. Now $100 is a bit steep just to change the volume on your speakers, but my (mostly) nifty Microsoft Ergonamic Keyboard/Mouse has an irritating physical slider switch that I have to move to swap the function keys between “F-mode” and media -controls mode. So if the Dial can deliver on a few other promises, it might be worth it. In order to get my creative juices flowing, and the gears in my head turning and churning, I’ve dug into the uses that these apps have come up with for the Surface Dial. Keep in mind that Surface Dial has customization options, so perhaps you’ll be able to get it to do unimaginable things just by fiddling with its Settings. Hopefully the following hyperlink fest will be as interesting for you to read as it was for me to compile! Protracter – draw As-built lines on architectural plans at precise angles, but in a natrual way, with a stylus. Page rotation – especially useful on the monstrous Surface Studio. You can’t easily rotate the whole machine like you can a Surface Book or a ThinkPad X1 Yoga. Navigate the 3D world created by the artist by traveling to the “bookmarks” that were specified by the artist. Click the dial (press down) to play or pause the animation. Will likely support panning and zooming and tool selection with the Surface Dial. I can imagine that the Surface Dial will play an important role for some of the new 3D features. I doubt that the Dial will do much for old, crappy MS Paint, other than the rudimentary basics. Control Smart Bones™ WHAT ARE THESE, GET A VIDEO! Here’s a trade-show video (i.e. really noisy and hard to listen to) of the Surface Studio + Dial + Moho Pro: A closer look at the Surface Dial from the Windows 10 Event. And “Smart Bones” is such a cool term, let’s put a link to a video about them: Moho 12 (Anime Studio) – Bone Enhancements Tutorial. Warning: extreme terminology and jargon! But any ShapeSheet or SmartShape enthusiast will appreciate what they are doing with Smart Bones! 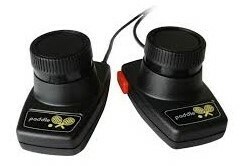 Just a guess, but you can probably rotate the ship using the dial, and maybe shoot by clicking the Dial. A (another) digital notebook with features for making quality sketches, and the neat feature of smoothing out your handwriting so that everything feels buttery smooth. It’s a Microsoft Garage project, which means (I think) that it’s “perpetually in beta”, or “we’re not really on the hook for supporting this”. Regardless, there’s some cool stuff coming out of the MS Garage. I didn’t find much about Surface Dial in Plumbago, but I would bet it does some zooming and perhaps panning. There was a note on one of MS’ sites about accessing drawing tools. Split images when Dial is placed on the Surface Studio screen. On the right, a zoomed-in view of the area where the dial is sitting (on the left) is presented, automatically. Turning the dial further zooms in or out. Moving the dial on the overview plan pans the zoomed-in window’s view. When placed on top of tabular records of information, rotating the dial steps through highlighting individual rows. The selected row will highlight a graphical counterpart in the drawing. Protractor, T-square and triangle uses for on-screen drawing. Part journal, part canvas, Sketchable enables you to keep sketches, doodles, scribbles and annotated images in a notebook-style app. It’s like OneNote for people who can seriously draw and paint. 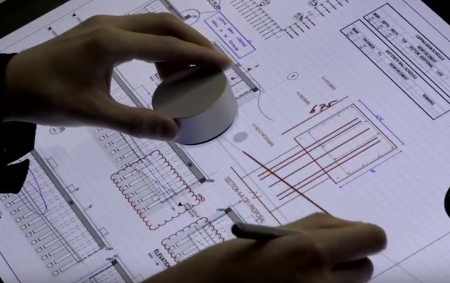 Sketchable seems to be the poster-child for the Surface Dial and the Surface Studio. More on Sketchable from Windows Central: Sketchable review: drawing on the Surface Book becomes a pure joy. StaffPad is a cool music notation program four pen-enabled Windows systems. You literally compose music by writing notes write on the screen! If you watched the first the first video in this article, you saw Sketchpad in action with the Surface Dial. Here’s a bit more info about Windows Ink Workspace: Windows Ink is the best new thing in Windows 10 Anniversary Update. What Could/Should Visio do with the Dial? While researching what all the other applications were doing with Surface Dial, these are the ideas that popped into my head. 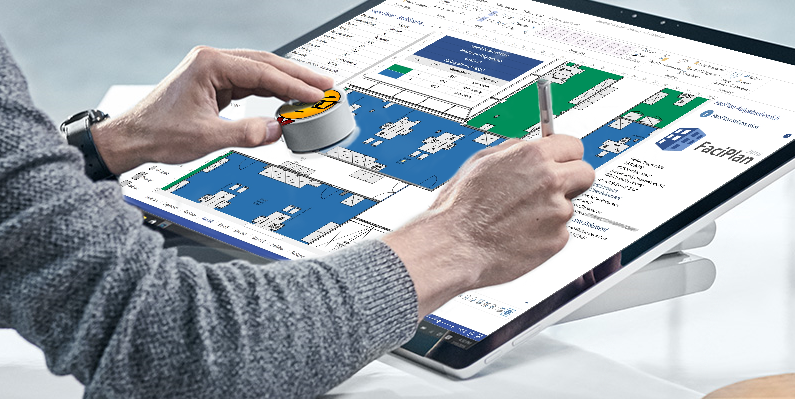 Feel free to share your Visio-related Surface Dial ideas in the comments below! Scroll, pan, and zoom, of course! Undo/Redo – sometimes you are doing intense, nit-picky, repetitive editing where you make lots of mistakes. Having your hand on the dial for a quick undo might be really useful in this scenario. Quickly flip through themes without having to expand the Themes drop-down gallery every time. Tracing out property lines and building borders. 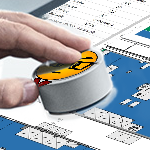 Imagine clicking the dial to “get a new wall segment”, then rotating it to the proper angle. You could march around a room, or a building or a property site and quickly create an outline. Adjustment of text around the Text on a Circle Visio SmartShape. This brings up an interesting question as to how you could hook the dial into certain radially-oriented control handles. This is different than rotation, this is adjusting the positions of stuff around a circle. Switching through visible layers. Haven’t fully thought this out yet. Quickly flip through Scenarios. Scenarios aren’t an actual Visio feature, but I can imagine developing an add-in that helps users to save named-sets of scenarios. Each scenario would specify zoom levels and viewport, layers that are visible, colors of layers, applied datagraphics, applied themes, linked data-related options, and more. Using the Dial to flip through these scenarios could be invaluable in comparing different sets of data, or working quickly with a complex drawing. Flipping between modes. For example, when I develop a complex template for customers, I usually implement a “Developer Mode” where shape sizes and positions are unlocked, subshapes can be selected, layers are not locked, double-clicking opens up group windows, and some other goodies. One last question I have for you is: do/would Visio users don’t really need a Surface Studio? Microsoft is clearly aiming it at artistic usage. If you’ve seen some of the schematic diagrams that d-tools SI and faciplan users produce, you might argue that a huge screen with some fancy dial support might be really useful from a Visio standpoint! If Microsoft doesn’t do anything Earth-shaking for Visio, then maybe some of could (should)! Personally, the most intriguing aspect of the new device is the potential for developing custom uses for it. Being a huge Visio nerd, I’m already wondering if I can get it to do crazy, useful things depending on what Visio context I happen to be in, or even the document type I am working on. Surface Dial Interactions is a nice overview for both UI designers and programmers. It discusses the types interactions the Dial offers, UI guidelines, the events that your code can respond to, provides some XAML code samples, and provides links to detailed API information. Deeper down, you might find RadialController Class interesting from a much more technical standpoint. It digs deeper into properties, methods and events you’ll need to get your software working with the Dial. A lot of apps will provide basic, obvious support for the Dial, but I found this creative, nerdy adaptation quite interesting: Surface Dial as a Debugging Tool. One last thought before I wrap this baby up. What about using the Surface Dial with your FEET!? 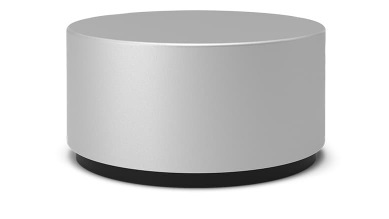 Feel free to post interesting links to Surface Dial related stuff in the comments below. If I have time, I’ll promote them to this section. I have been trying to figure out an excuse to buy the new surface studio, and being able to use the dial functionality in Visio would probably be that reason!!!! !